Quinnipiac has a zero tolerance policy when it comes to medical marijuana, despite the drug’s approval for medicinal use in the state of Connecticut in 2012. “[The university] does not permit students to use or possess marijuana on campus, even if they have a prescription,” Associate Dean of Student Affairs Seann Kalagher said. The federal government has played its own part in keeping medical marijuana off college campuses. According to Kalagher, The Drug Free Schools and Communities Act prohibits the university from permitting the use of illegal drugs on campus, even if permitted by state law. Kalagher said marijuana is classified as an illegal drug by the federal government. This means any allowance of marijuana use on campus, medical or otherwise, may jeopardize the university’s access to federal funding. A recent Connecticut law has designated colleges and universities to prohibit the use of medical marijuana. As such, any marijuana use on Quinnipiac’s campus is a violation of federal law, state law and university policy. Any use will be referred to the student conduct process. The University of New Haven will also not adjust its policy when it comes to medical marijuana users, according to Chief of Police Mark DeLieto. “Right now the policy is the state policy, which is not allowed on campus,” DeLieto said. Bryan Riemer, a sophomore business major, supports the government’s policy to keep medical marijuana off campus. 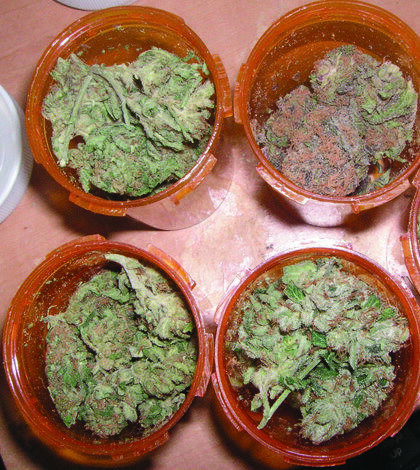 The first medical marijuana dispensary has yet to receive its first shipment of the cannabis. Staff members have begun consulting with patients, according to the Connecticut Post. Connecticut has one medical marijuana dispensary located 53 minutes away in South Windsor. Five additional locations have received permission to open from the state Department of Consumer Protection, according to the Connecticut Post. The closest to the university will be in Branford, which is about a 20-minute drive according to Google Maps. The state has plans to open a facility in Bristol, which is approximately a 40-minute drive. Unlike California, where residents can get a recommendation from a doctor for various illnesses and conditions, Connecticut guidelines are on the strict end of things. Patients must have one of 11 medical conditions including cancer, glaucoma, H.I.V. or AIDS, Parkinson’s, multiple sclerosis, spinal cord nerve damage, Crohn’s disease and post-traumatic stress disorder. The state also mandates an on-site pharmacist for medical marijuana.